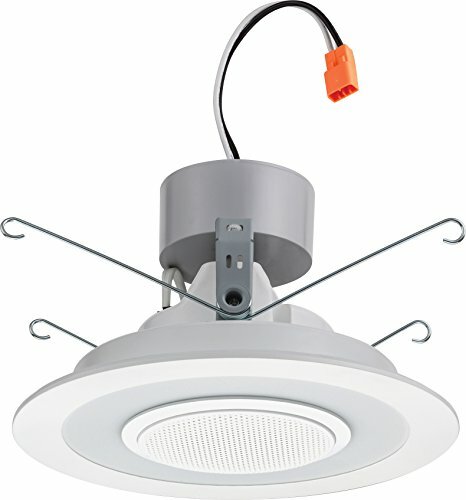 Lithonia Lighting Bluetooth LED Recessed Speaker Light is one of the first LED music light fixtures that is easily installed into your current recessed housings and provides over bright light and great quality sound at the same time. -No Additional APP needed to control – just connect via Bluetooth and done! -One of the only Bluetooth lights that can play music without light! Meets Highest Industry Standards: ETL certified in the USA and Canada, IC and NON-IC Rated and Wet Listed. Air-Tight listed with IC housings only.